1978 MY: 180bhp, 3-litre 911SC introduced, replacing earlier 2.7 911 and 3-litre Carrera 3 models. Available in Coupé and Targa bodystyles, ATS cast alloy wheels with manual and Sportomatic gearbox options. First 911 to be fitted with brake servo. Martini stripes available as an option. 1979 MY: Max power increased to 188bhp. Sportomatic available as special option only. 1980 MY: Max power increased to 204bhp. Cars identified by side repeaters on front wings. Sportomatic discontinued. For this year only Coupé and Targa share same series chassis numbers. 1981 MY: Vehicle Identification Number (VIN) changes to new world format. Factory option spec now shown on new Vehicle identification Label (VIL). 1982 MY: Fuchs alloys standard on mainstream production models and have polished rims with black centres. 'Ferry Porsche' special edition celebrating 50 years of the Porsche company (Meteor Grey metallic with Burgundy leather, seats have Burgundy/grey velour inserts, 'F. Porsche' autograph on headrests). Believed 200 (70 Targas) built for all markets. Slant-Nose model available through the 'Sonderwunschen' (Special Wishes) workshop. 1983 MY: New Cabriolet model begins production in October 1982 (with manually folded convertible roof). The 911 SC is a landmark 911 because it was the first Porsche model developed to appeal to a wider market than just the enthusiast driver. It is the 911 that launched the 911's reputation for excellent durability and build quality. Two factors above all else contributed to that reputation - the use from 1976 of a fully zinc coated steel bodyshell and the adoption of a normally aspirated version of the Turbo's more robust 3-litre engine. The earlier 2.7 had been recognised as being at the limit of its development and the new Type 930 engine reset the design parameters for the flat-6's development potential. Combined with the well-proven Bosch K-Jetronic fuel injection, it became a very flexible, torquey powerplant. The SC introduced the 911 to the brake servo, but this is still a physically demanding car. The pedal has lost its previous wooden feel to be replaced with a softer touch, but needing care to prevent front wheel lock-up. The steering at low speeds is fairly heavy and compared to either a pre-'73 911 or the later Carrera 3.2 and because of the late 1970s focus on reducing exhaust emissions, the SC's performance can't be described as memorable. But it is an easy sports car to learn and enjoy. The Sportomatic option was only available for one year and so is very rare on an SC. Sporto offered a regular manual shift pattern (4-speed), but without a clutch pedal. It was a clever design, but didn't really satisfy a need for a full automatic 911. The Targa offers an open top driving experience (the top folds up but the car's practicality is impaired by the need to stow the top somewhere). The late 1970s and early 1980s were a time of slow development for the 911 as Porsche devoted much time to the new (and water cooled) 924 and 928 models. 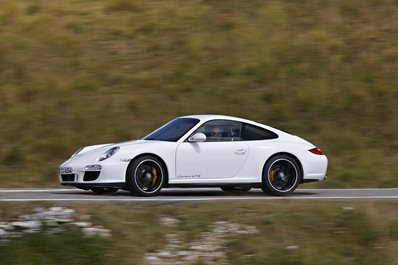 But despite the limited changes year to year, the 911's popularity prevailed. Sales consolidated despite the factory trying to persuade customers to migrate to the (they believed) next generation cars. By 1980, the folly of trying to phase out the 911 was clear and new development produced the Cabriolet. The SC Cabriolet is a rare 911 today but its manually operated roof is fairly crude by later standards. In terms of specification, the later the model the better with the 204bhp cars the most desirable. Unless you particularly want a convertible, focus on a Coupé or Targa - the production numbers were far greater and the choice better. The most desirable factory options were a passenger door mirror (! ), forged Fuchs alloys, sunroof and rear wiper. The UK Sport is the most sought after, but not everybody will like the big spoilers. If you don't like these, look for a non-Sport model. Sports have 16-inch 6J and 7J Fuchs alloys, front lip spoiler, 'whaletail' rear spoiler, Bilstein Sport shock absorbers and Sports seats. There were no special Martini models (after the race team's sponsor), but Grand Prix White cars could be specified with option M42 (factory applied Martini stripes). If your budget suggests an early car, don't try to find a Sportomatic and even if you do, a manual gearbox version will be easier to sell later. Similarly the 1970s fashion for browns and greens (there were a lot of these in the 1970s colour charts) hasn't travelled down the years (yet!) and the most desirable colours will be the reds, black, silver, while Minerva Blue metallic remains attractive. However, a car that has had a colour change may not be so collectible and is likely to have less value than an equivalent condition original colour car. The interior colours are equally affected by marketplace pressures. Full leather is rare. You might find the 1981MY onwards chequerboard or Dress Tartans a bit strong to live with, but the Berber fabric is sought after. Ex-factory Special Wishes Slant Nose models were hand made one-offs and are rarer than hen's teeth. The 911SC Slant Nose had the headlights only mounted in the front valence. There was a later fashion for converting 911SCs to Slant Nose appearance, but these usually use a lot of glassfibre, pop up lights in the wings and may not be as desirable as a good original production car. The 911SC is relatively simple in terms of technology and its mechanics are generally robust. It will be corrosion (see next section) and wear and tear that causes most maintenance bills. The service regime for a little used classic car is based around the quality of the fluids. With low annual use (less than 3K miles a year), the requirement for an annual service is likely to be viewed more pragmatically and the intervals extended. Nevertheless, condensation can saturate key fluids on a lightly used car and lead to accelerated corrosion and wear, so care is required. An engine oil change is likely to cost around £100 (all estimates are ex VAT) and a brake fluid change perhaps £75-100, so this preventative maintenance can be money well spent. Shock absorbers will last around 20-25 years, assuming they haven't already started to leak. A replacement set will cost around £600, plus fitting. Don't forget to factor in the essential wheel alignment afterwards (cost perhaps £300). Replacement discs and pads will cost around £500 each axle. The 3-litre Type 930 engine should run at least 125k miles without a cylinder head rebuild (for new valves, guides, etc). A poor service record can significantly shorten this. A clutch can last 70K to 100K miles, but the rebuild cost can range from £750-£1100 depending on the gearbox type. Interior repairs can be expensive with front seats costing £500-700 each to re-upholster, while a set of new carpets can run to £800-900. 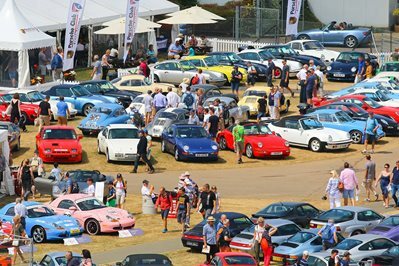 Parts availability is very good through Porsche Classic (at your local Porsche Centre), but is a little expensive for some of the less frequently replaced items, so its worth looking for used items on websites like the PCGB forums. There is a wealth of experience in maintaining these cars within the established independent Porsche service network. After some 35-40 years, the original zinc coating will likely have become fairly brittle and hairline cracks, a lifetime's minor grazing, scuffs and worse are likely to have broken the corrosion protection - structural rust can be a big problem with the SC so condition is the most important factor in finding a worthwhile car. The external signs of a cheap restoration are uneven finish, poor paint matching and panel gaps and overspray on old black seals. A paint gauge can identify where extensive filler has been used (in areas such as the wings, the lower areas of the doors, C-pillars and under the rim of a Targa's rear window). Estimating bodyshell repairs is very difficult until the outer wings have been taken off, but typically a car that needs new sills and reconstruction of each suspension corner/inner wing isn't leaving change from £15K. Full new paint can cost from £6000-10K depending on quality and the degree of previous paint removal/glass out and corrosion removal required. .The suspension is likely to look time served, but the best measure of wear is to have an expert drive the car and listen for rattles and clonking noises. The Type 930 engine in the SC can be identified by its 11-blade cooling fan and air trunking going over the top of the fan housing. All early European SCs came with an air injection pump, driven off the fan pulley and mounted in the nearside engine bay (left as you look in). The pump was discontinued around 1980, but most earlier cars will have had this removed. It does little and obstructs access to the left bank of cylinders. This level of modification is acceptable in the mainstream market. An engine that smokes, doesn't start or run evenly should be ignored. Similarly if a 915 gearbox is difficult to select 2nd or 3rd gear, it probably needs a rebuild. Don't ignore a rusty exhaust. Replacement heat exchangers cost from £300-500 each with the rear silencer a similar amount. A non-working heater can be rusty heater valves (around £125 each) or a faulty fan (can be £400-500 in parts). Authenticity can be an issue when cars are advertised as Sports. A well cared for car will have had the shocks replaced, so look for the yellow Bilstein Sport replacement shocks at the rear. It isn't unusual for UK Targa Sports to have had their original (green) Bilsteins replaced with the mainstream (black) Boge type for a better ride (as the Targa shell is more flexible than the Coupé). Ragged interiors and Targa roof seals tell their own story, but a Targa top restoration kit costs around £300 if you are handy. Driving the car is essential - not only is this a very different experience to a modern car, but your first impression is very important when it comes to a classic 911's general condition. Important issues will show up even in a short drive (5 miles would be typical).